On day 14, we drove toward California along the Arizona section of the National Scenic Byway, also part of Route 66. This section makes me wonder if the Interstates were such a great idea. We passed through the small town of Oatman and were surprised to see wild burros roaming freely downtown. 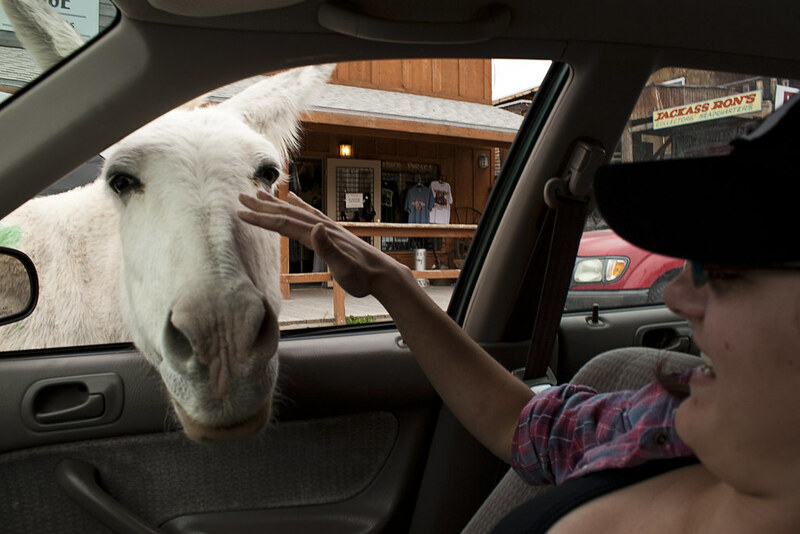 Every store sells carrots or burro-chow, but we disappointed the one that stuck his face in a food-less car. Oatman is called the ghost town that wouldn't die, and I can't think of a better way to describe it. It had a sort of boom in population after two gold prospectors struck it rich there in 1915. After that, they kept the town afloat by catering to Route 66 travelers. The scenic road into town seems to be the only thing keeping it going today. 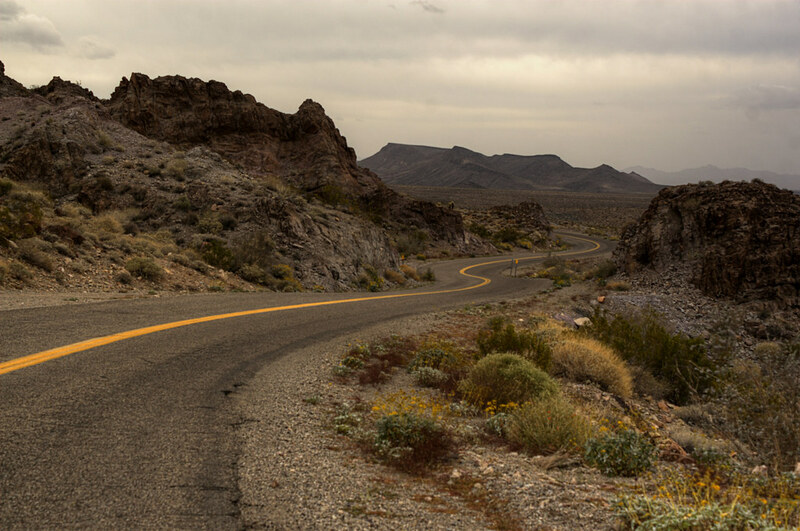 This was one of the best stretches of road on Route 66, so far. This was our last day in Arizona. That afternoon we crossed into the Mojave Desert and Southern California.